Does Google's Pigeon Local Algorithm Impact Organic Rankings? 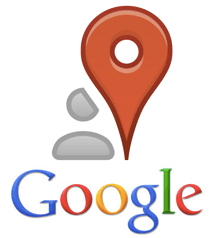 Home > Google News > Google SEO > Does Google's Pigeon Local Algorithm Impact Organic Rankings? Doubtful. Does Google's Pigeon Local Algorithm Impact Organic Rankings? Doubtful. A thread at Local Search Forum asks a question most SEOs will ask themselves over time... Does your local ranking in Google's local algorithm at all impact the overall core Google search algorithm? The truth is, it does impact your visibility and rankings in web search because Google's local results are often embedded in the web search results as a local pack. But purely on the algorithmic side, does Google's local algorithm, which is now known as the Pigeon update directly impact your organic rankings? Not really in my opinion. The truth is, the Pigeon update now includes many of Google's core web algorithm factors. Google said back then that there is "deeper into their web search capabilities, including the hundreds of ranking signals they use in web search along with search features such as Knowledge Graph, spelling correction, synonyms and more." So if anything, the web search algorithm impacts more of the local results than the other way around. In my experience local rankings are influenced by organic ones (pigeon update) and not vice versa. They are two very different algorithms. In a competitive market you usually have to have something ranking on the first page organically to show up in the local pack.